CarGurus has 4,147 nationwide MX-5 Miata listings starting at $2,499. Now in its 20th year of production, the Mazda MX-5 Miata two-seat convertible rolls into 2010 with only minor updates, following a significant refresh in 2009. Mazda adds Bluetooth and Sirius satellite radio to the MX-5's optional Premium Package for 2010. In addition, the automaker equips six-speed-manual MX-5 trims with a new Induction Sound Enhancer, which consists of a series of tuned pipes and a resonance membrane designed to enhance engine sound without making it too loud. In addition, a roadside assistance program comes standard with all 2010 Mazdas. Mazda offers the MX-5 Miata in five trims for 2010, including the Sport trim with soft-top, the Touring with soft-top, the Grand Touring with soft-top, the Touring with Retractable Hardtop, and the Grand Touring with Retractable Hardtop. A 2.0-liter, DOHC four-cylinder engine drives all MX-5 Miata trims. The engine generates 167 hp when linked to a manual transmission or 158 hp when mated to a six-speed Sport A/T automatic transmission. In either configuration, the engine produces 140 lb-ft of torque. A five-speed manual transmission with a short-throw shifter comes standard on the Sport trim, while the Touring and Grand Touring trims receive a six-speed close-ratio manual transmission, also with a short-throw shifter. Owners can upgrade to the automatic transmission on any trim. The automatic includes Adaptive Shift Logic, which makes shifting adjustments to fit the driver's style, and enables drivers to shift manually using steering-wheel-mounted paddle shifters. While it's no powerhouse, the MX-5 Miata's engine does provide smooth acceleration and a fun driving experience, according to reviewers. Variable valve timing and electronically controlled fuel injection help improve efficiency and performance. The four-cylinder posts fuel economy numbers of 22/28 mpg when mated to the five-speed manual transmission, and 21/28 mpg when linked to either the six-speed manual or the six-speed automatic transmission. 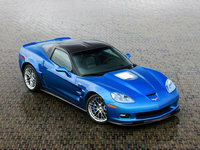 The engine sits front mid-ship, which helps improve the convertible's balance and agility, according to the automaker. The MX-5 Miata rides on a four-wheel independent suspension with double wishbones in the front, a multilink configuration in the rear, and stabilizer bars in both the front and rear. Rack-and-pinion steering with variable power assist also comes standard, resulting in quick, precise handling and a sporty yet comfortable ride. Outside, the 2010 MX-5 Miata retains its classic shape, with a deep, five-point grille, slanted halogen headlights, power-adjustable mirrors, body-color bumpers, protruding taillights, and dual exhaust outlets with chrome tips. The Sport and Touring soft-top trims come equipped with a black vinyl convertible top, while the Grand Touring soft-top trim upgrades to a black or beige cloth convertible top. Owners can raise or lower the soft-top from inside the car with one hand, Mazda notes. The Retractable Hardtop trims upgrade to a power-retractable top, which Mazda introduced in 2007. The hardtop raises and lowers in 12 seconds. All convertible tops fold down into a storage well behind the seats. Standard interior features for the Sport trim include a leather-wrapped steering wheel, air conditioning, power windows, and a six-speaker audio system with a CD player and an MP3 input jack. The Touring trim adds steering-wheel-mounted cruise and audio controls, remote keyless entry, an auto-dimming rearview mirror, a trip computer, and a 6-CD changer, while the Grand Touring trim also comes equipped with heated leather seats, automatic climate control, and a seven-speaker Bose audio system. A Suspension Package, available for Touring trims equipped with the six-speed manual transmission, adds sport-tuned Bilstein shocks, a larger rear stabilizer bar, and a limited-slip differential, while a Premium Package for the Grand Touring trim includes an advanced keyless entry and start system, HID headlights, and Dynamic Stability Control with traction control, as well as Bluetooth and Sirius satellite radio, both new for 2010. Standard safety features for the 2010 MX-5 Miata include dual-front and side-impact airbags, as well as antilock brakes with brake assist and electronic brakeforce distribution. The Sport trim rides on 16-inch alloy wheels, which the Touring and Grand Touring trims ride on 17-inch alloy wheels. All trims come equipped with high-performance radial tires. What's your take on the 2010 Mazda MX-5 Miata? Have you driven a 2010 Mazda MX-5 Miata? Automatic Transmission Service 2010 Mx-5? 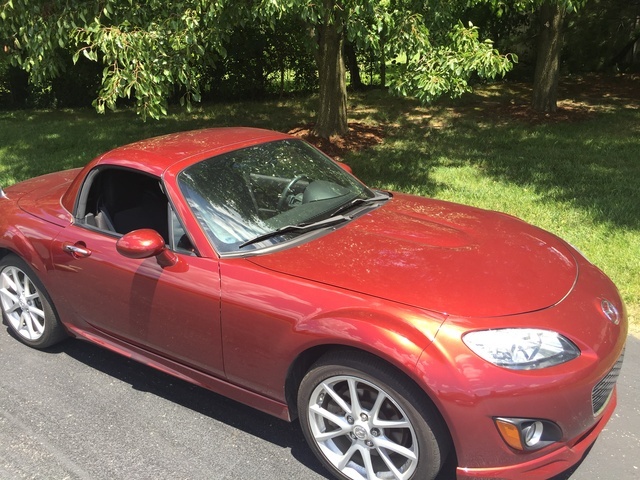 What do I need to do to maintain the automatic transmission on my 2010 MX- 5 PRHT? Why Is My For Sale Listing Not Showing Up Today?